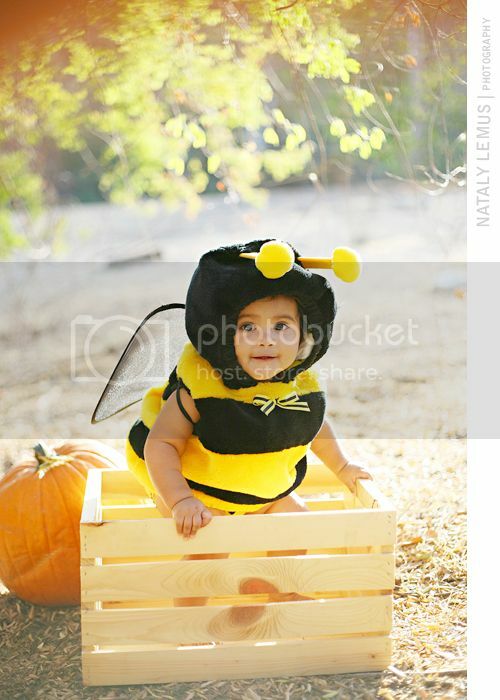 Happy Halloween from our little bumble bee! I have to say that having our baby girl to enjoy halloween with has it made it a million times more fun! It's so amazing how everything you have already experienced seems so new and more awesome when you have a baby! We had a couple of Halloween mini sessions and got to take the photo of her above. She is already giving steps so all she wants to do is stand :) I fell in love with this photo <3 Her cute little face is everything to me! Hope it brightens your day even more...or at least it had that effect on me! :) Enjoy halloween and have at least one treat! Happy Halloween! I'm so behind, but aww she was an adorable bee! I hope you had a fun Halloween!